My Truth Monday . . . I recently saw this idea on the blog Sunny Days in Second and thought I'd start sharing a little about myself. This idea was posted back in December, but it really got me thinking about the year ahead. The first word I chose was perspective because sometimes I need to step back and look at the bigger picture. Working from home I get so caught up in my little world that I forget all there is to do out there. Then I thought of the word persevere because sometimes I jump from one project to the next without really accomplishing anything. House cleaning is the worst! For instance, my Christmas tree is still standing in my living room. A little embarrassed to admit that on January 27, but it's the truth. It's coming down today! 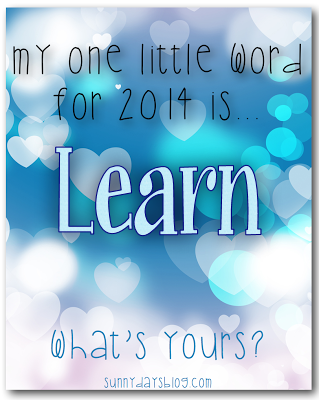 But I finally chose the word Learn because it sets the tone for what I want to accomplish this year. I started this blog just a few months ago and the learning curve was so much larger than I expected. I was beyond frustrated the first week trying to get it set up. Several days I just had to walk away. Tasks on the computer usually don't affect me that way. But I always returned and finally have my blog up and running. I know there is still so much more I need to learn about being a blogger. There are hundreds of useful and fun blogs out there and I really want to make mine a place that will offer ideas teachers will enjoy and want to use in their classrooms. I'm also still learning how to better market my products on Teachers Pay Teachers. Being successful in this market takes more than just creating quality products, although that is definitely the first step. Now that I have a store stocked with quality products, how do you get the word out to potential customers??? 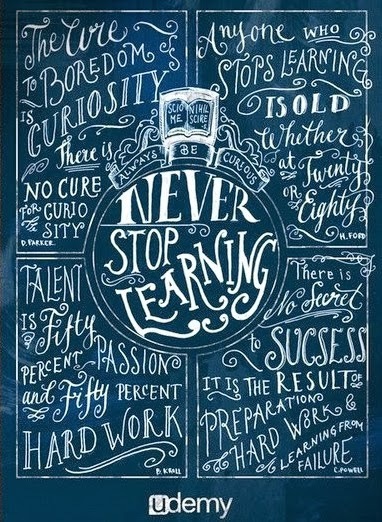 That's what I need to learn. What's the One Little Word you would choose for 2014?